:: Tiong Bahru - old and new :: - Dreams are what you wake up from. Was going to the Tiong Bahru Food Centre, when M realised that he would need to head over to the Post Office to collect a parcel. I decided to sit by the badminton court, at the red metal bench. It was a nice sunny day and there was this surprising constant cool breeze that rustled the leaves of the raintrees surrounding me. 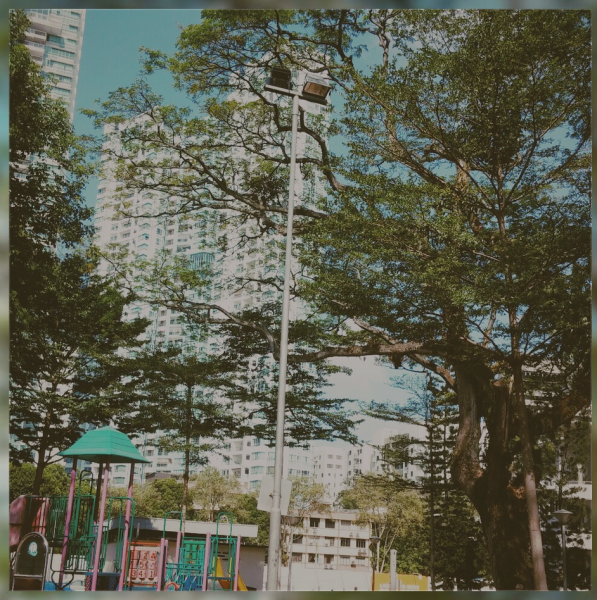 I decided to take a photo of this view - nothing spectacular actually, but probably a view that would be not possible in time to come, with the construction of the new condominium by Keppel Land. I did not manage to stay long anyway, as the queue at the Post Office was too long, hence M returned and we made our way to our breakfast. i do remember that i have a moment like this. it speaks to me as moment of peace and silence where everything seems alright. cheers. ps: you have a cool blog.